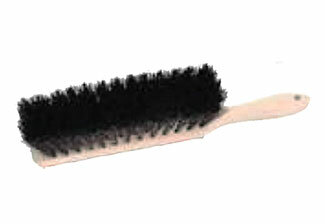 PRODUCT: Fine Debris Counter Brush, 8 inch, with Horse Hair & Synthetic Bristles. Features 2-1/2 inch trim, horse hair & synthetic blend fill, and quality construction. Price/Each.